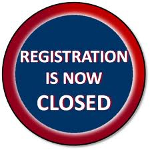 Online Registration is now closed! Onsite registration will be available beginning at 7:00AM on Saturday, September 9, 2017. We hope to see you there! Join us on Saturday September 9th, at 9:00AM for the Road to Wellness 5k ! This community event is aimed at inspiring mind, body, and spiritual health through fitness and exercise while embracing the rich history of Roxbury and the wonderful diverse community we are a part of. There will be t-shirts given to all participants, refreshments and awards after the race. Entry fees are free to the members of the Roxbury community or $25.00 (plus processing fees) for individuals. Join us after for The Health and Fitness Pavilion presented by Tufts Health Plan. Please scroll down for the appropriate category to enter into the event. Visit www.roadtowellness5k.com for more information.